I want that cat lamp. And number one isn’t too bad either. Nice selection. Loing 1,2,8, and 9! Target really is a nice unexpected place to find interesting and modern home decor. I’ve bought some great stufff at Target, most recently two cool lamps. And tons of gorgeous throw pillows. It is quality stuff, too. These are great!!! I had no idea Target had pieces like this! Oh man, that first chair is so awesome! I love the shape! Target does it again! 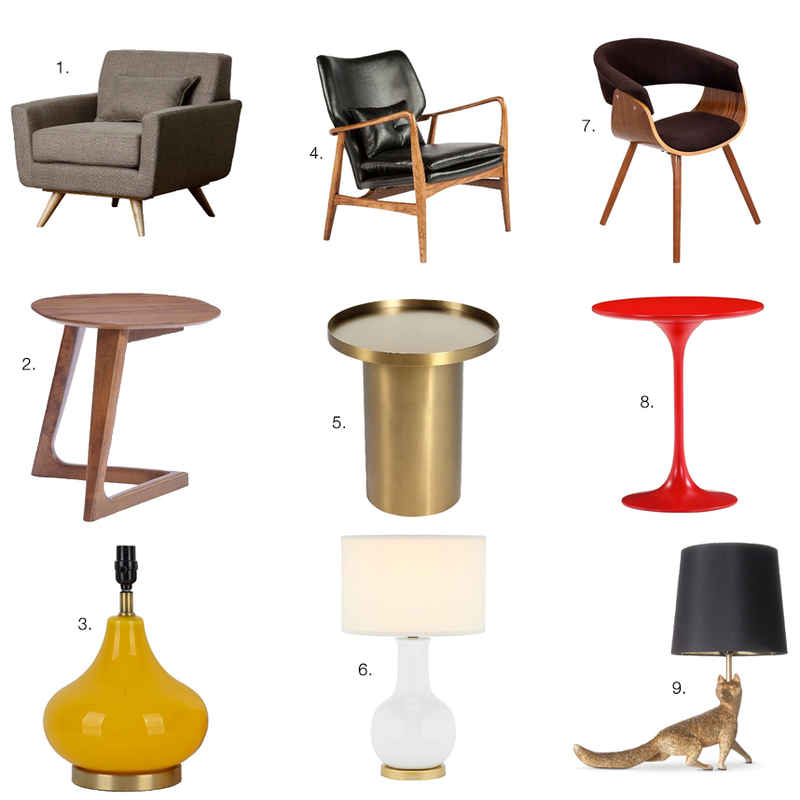 I had no idea that Target was producing mid-century modern furniture. How fun! I love #1 & #3. I’ll have to go to the store and check out the quality. Thanks for the post!